Jill of Jill’s Blog chose Cardamom Crumb Cake today. The recipe is on page 38. 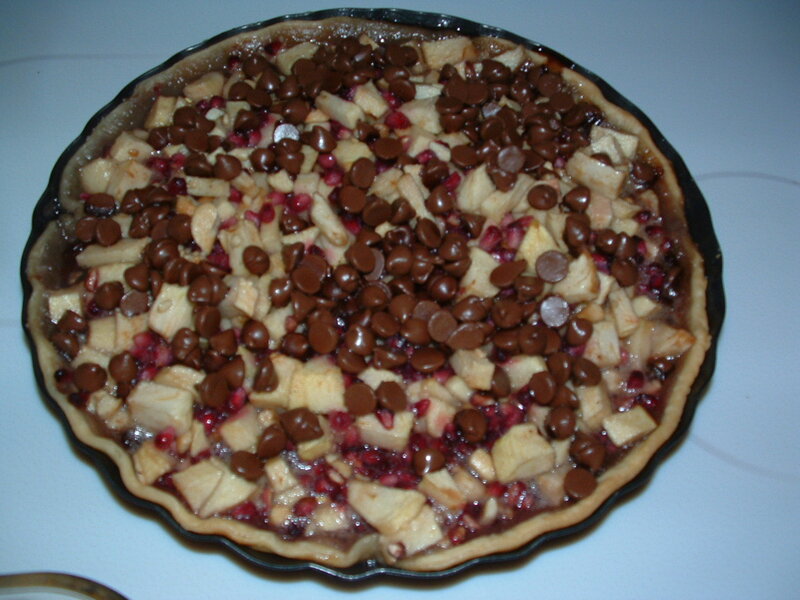 December 14 – Amber of Cobbler du Monde chose Apple-Coconut Family Cake, on page 214. December 7 – Hindy of Bubie’s Little Baker chose Translucent Maple Tuiles, on page 173. November 2 – Nicole of Bakeologie chose Peanuttiest Blondies on page 119. 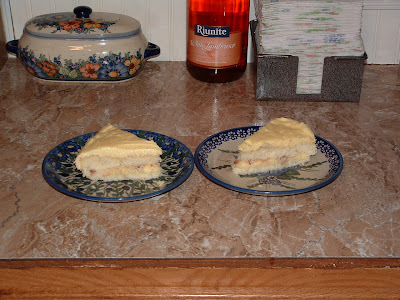 November 9 – Jessica of Singleton in the Kitchen chose Not-Just-for Thanksgiving Cranberry Shortbread cake on pages 208-209. November 16 – Whitney, April, and Elizabeth of Celestial Confections chose Cranberry LIme Galette on pages 364-365. November 30 – Tania of Love Big, Bake Often chose the Devilish Shortcakes on page 425. TUESDAYS WITH DORIE~ REWIND ~ PERFECT PARTY CAKE! The Perfect Party Cake on page 250-252. Make sure the butter is VERY soft, the consistency of mayonnaise, before mixing. Have the egg white and buttermilk at room temperature too. If there is grated lemon zest in the batter, makes sure it is very finely grated as with a microplane, not a box grater – large pieces of zest can weigh down the batter and prevent full leavening from taking place. Use buttermilk instead of milk (the acidity promotes faster setting during baking and also weakens the gluten in the batter). Buy a fresh can of baking powder. Use bleached, not unbleached, all-purpose flour (If you’re using cake flour, make sure it is NOT self-rising). Test the layers for doneness with the point of a knife or a toothpick rather than relying on a timer to determine doneness – if the layers are over baked and a little dry, the texture could seem rubbery. Wrap and chill or freeze the layers as soon as they cool – leaving them uncovered at room temperature for a long time could also dry them out. 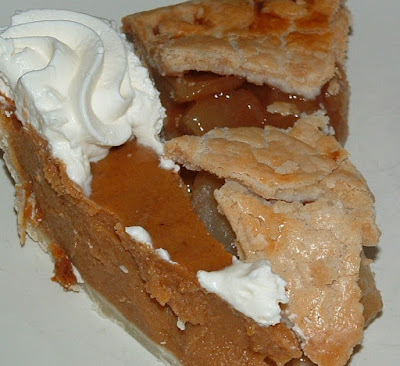 Emily of Sandmuffin chose All-American, All-Delicious Apple Pie on pages 300-302. We were having a family dinner and I needed 2 pies so I made last weeks and this one at the same time – talk about killing 2 birds with 1 stone. There was nothing of either pie left! They were both so yummy! Janell of Mortensen Family Memoirs picked Caramel Pumpkin Pie on pages 322 and 323. We were having a family dinner and I needed 2 pies so I made this weeks and next – talk about killing 2 birds with 1 stone. There was nothing of either pie left! They were both so yummy! 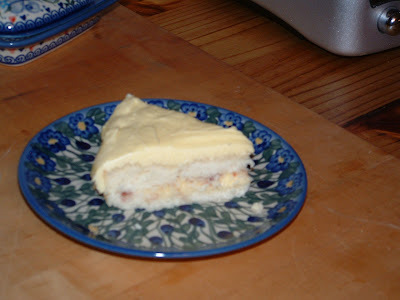 Cakelaw of Laws of the Kitchen selected Fold-Over Pear Torte on pages 348 and 349. Since I’m still traveling I don’t have access to my pans, I have to improvise most of the time. This time I made them into fold overs that oozed yummy goodness when you cut into them. I used the apricots AND the raisins! 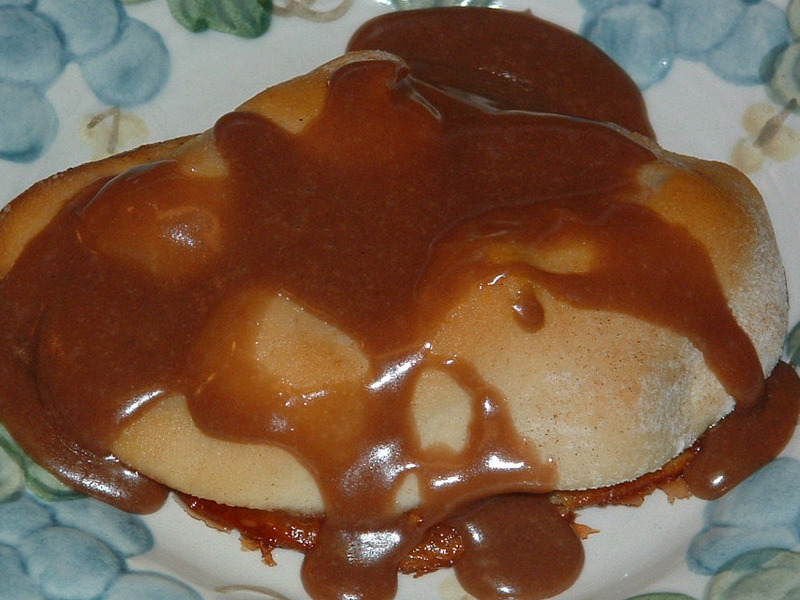 What a yummy combo and then I topped each one with our favorite Caramel Sauce. Lynne of Honey Muffin chose Double Apple Bundt Cake on pages 184 and 185 this week which was perfect for fall and all my leftover apples. I served it with maple syrup poured over it and it was scrumptious! Leslie of Lethally Delicious decided on Tarte Fine on page 315. I embellished a bit and it was awesome. I had a pomegranate that needed using so it made a great addition. I also tossed a handful of milk chocolate chips on top. YUMMY!